Assassin’s Creed II retains the core game play experience that made the first opus a resounding success and features new experiences that will surprise and challenge players. Assassin’s Creed II is an epic story of family, vengeance and conspiracy set in the pristine, yet brutal, backdrop of a Renaissance Italy. Ezio befriends Leonardo da Vinci, takes on Florence’s most powerful families and ventures throughout the canals of Venice where he learns to become a master assassin. Ezio Auditore da Firenze is a young Italian noble who will learn the ways of the assassins after his family was betrayed and he looks to seek vengeance. He is a lady’s man, a free soul with panache yet has a very human side to his personality. Through him, you become a master assassin. Italy in the XVth century was less a country and more a collection of city-states where families with political and economic strength began to take leadership roles in cities like Florence and Venice. This journey through some of the most beautiful cities in the world takes place in a time in history where culture and art were born alongside some of the most auspicious stories of corruption, greed and murder. You will be able to perform missions when and how you want in this open-ended world that brings back free-running and adds elements such as swimming and even flying to the adventure. The variety in game play adds another layer for you to truly play through the game any way you choose. Discover a living breathing world where every character is an opportunity for the player. Blending in with the crowd is easier, working with in-game characters provide ample rewards but can also lead to surprising consequences. Perfect your skills to become a master assassin where you brandish new weapons, learn to disarm enemies, use their weapons against them and assassinate enemies using both hidden blades. If you liked the first game then you will love this one! I loved this game from start to finish. It is much improved over the first title in many ways. The control is much more fluent, and the gameplay itself offers way more variety. The story is better, and the graphics really are a sight to behold. I loved the weapons, and economy system. This game leaves me aching for more. I highly recomend this title. The king is dead, long live the king ! I loved the original creed, but how could they improve it ? well..........A strong story line, fantastic graphics, all the side missions give it excellent game play. Your PS3 was made for games like this, it's a delight, People say Mario and nintendo in the same breath and i think they will say playstaion and creed before to long also...........A MUST BUY. THIS GAME IS BRILLIANTLY DESIGNED, GRAPHICS ARE OUTSTANDING, YOU DO A LOT OF RUNNING ABOUT ON SMALLER MISSIONS IN THIS GAME BUT IT IS QUITE ADDICTIVE, WHILE THERE IS A FAIRLY GOOD STORYLINE RUNNING THROUGH THE GAME ALSO. WELL WORTH BUYING AND PLAYING, WILL KEEP YOU AMUSED FOR A GOOD WHILE. Spectacular - Take that enemies! 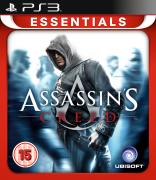 The best PS3 game ever, well that was Assasins Creed. That was then. Assasins Creed 2 is the next level. Better images, more danger, more opportunities to deal with your enemies in the most graphical way in this tale of deceit, corruption, power and revenge set in the time of the Italian Rennaissance. 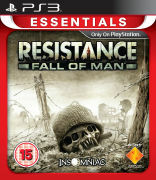 This is what digital televisions, hdmi cables and the Sony PS3 were made for, buy it, it's an instant classic.